On May 12, 2018, about 2005 central daylight time, a Beech 35-A33 airplane, N486T, collided with trees and terrain during a forced landing near Jacksonville, Alabama. The airline transport pilot was seriously injured, and the passenger was fatally injured. The airplane was destroyed. The airplane was registered to the pilot who was operating it as a Title 14 Code of Federal Regulations Part 91 personal flight. Night, visual meteorological conditions prevailed near the accident site, and no flight plan was filed. The flight originated from Hartselle-Morgan County Regional Airport (5M0), Hartselle, Alabama, about 1924, and was destined for Falcon Field (FFC), Peachtree City, Georgia. The pilot reported that he was familiar with the route from 5M0 to FFC and had previously flown it numerous times. He added that visual meteorological conditions prevailed and that he planned the route at 5,500 ft mean sea level. All ground operations and the departure from 5M0 were uneventful. The pilot stated that his first indication of a problem was the smell of smoke. He was not immediately sure that it was coming from the airplane; he thought that it could have been coming from outside. However, he continued to smell the smoke and started turning off electrical equipment to determine the source. The flight kept progressing as the pilot analyzed the situation. He stated that the engine suddenly "sputtered and quit" just after the airplane crossed over the boundary of the Talladega National Forest, so he reversed course because it "appeared darker there." He then turned the fuel boost pump on and established the airplane's best glide airspeed. He believed at this point that the engine may have recovered some power and noted that the propeller was windmilling. He stated that he maneuvered the airplane toward a pasture and that, although it was night he could still see the ground. The pilot stated that, after setting up the glide to a general area, he felt "heat." The passenger, who was his daughter, then climbed into the rear cabin. He did not believe that she fastened her lap belt after going to the aft seat. He saw flames coming from the engine compartment and discharged a fire extinguisher. The smoke continued and got heavy, so he opened the side window to clear the smoke so that he could see. The flames persisted. While crossing a ridge, the airplane struck trees, spun around, and then crashed. He was still inside the airplane, but his daughter was not. The wreckage was on fire. He egressed the cockpit and ran clear of the wreckage. He found his daughter, and she was injured. Shortly thereafter, first responders arrived. The fire eventually subsided and burned itself out. A witness, who was outside of his home, stated that, about 2002 on the night of the accident, he saw what he thought was a single-engine airplane fly overhead traveling westbound. He added that the engine was "misfiring" and that he saw a "ball of light" and that the ball of light then "got bigger." Although he did not see any smoke coming from the airplane, it was getting dark at the time. He did not observe the crash. The pilot held an airline transport pilot certificate with airplane single- and multiengine land ratings. He also held flight and ground instructor certificates. He reported 3,360 hours total flight experience, including 65 hours in Beech 35 airplanes. He was also an airframe and powerplant mechanic with inspection authorization and performed the maintenance on the airplane, including the annual inspections, preventive maintenance, and repairs. The low-wing, single-engine, four-seat, retractable tricycle landing gear-equipped airplane was manufactured in 1961. It was powered by a Continental IO-470-K, 225-horsepower reciprocating engine equipped with a Hartzell constant-speed propeller. The pilot purchased the airplane in October 2015. The pilot completed annual and 100-hr inspections of the airframe and engine on January 15, 2018, at 5,326.5 hours total aircraft time. A review of the airplane's maintenance log entries revealed no entries referencing any exhaust system components or indicating that any were replaced at this time. On March 20, 2018, at 5,329.3 hours total aircraft time, the pilot removed and replaced the left exhaust stack. He did not replace the left heat exchanger. 24 – EXHAUST SYSTEM – Check for deformation, security, cracks, leaks, loose or missing nuts and clamps. Check for thin wall condition which may occur due to normal internal erosion on stacks which have long service time. Anniston Regional Airport (ANB), Anniston, Alabama, located about 14 miles southwest of the accident site, reported, at 1953, wind calm, visibility 10 statute miles, sky clear, temperature 23°C, dew point 17°C, and altimeter setting 30.09 inches of mercury. Official sunset at ANB occurred at 1934, about 31 minutes before the accident, and the end of civil twilight occurred at 2002. Moonset was at 1642. The moon was in a waning crescent phase with 10% of it illuminated. The airplane crashed on the side of a hill in a forested area, about 2 miles southeast of the Jacksonville town center. The wreckage path was oriented on a westerly heading and was about 150 ft long. All the airplane components were accounted for at the accident site. The main wreckage consisted of the fuselage, empennage, and right wing. Most of the main wreckage, from the engine firewall aft, was consumed by postcrash fire. The left wing, which had separated during the impact sequence, was the first major airplane component found along the wreckage path about 65 ft east of the fuselage; it was not burned or soot-covered. All three landing gear were found in the retracted positions. The wing flaps were found retracted. Flight control continuity was confirmed from all flight control surfaces to the cockpit controls. No residual fuel was found in the area of the wing fuel tanks. The fuel selector and fuel strainer were not located. The engine, propeller, nose landing gear (NLG), and engine cowling separated during the impact sequence. The engine was found resting inverted against a tree about 15 ft from the main wreckage and postcrash fire site. The engine displayed black soot and heat damage on the aft accessory section. Several fuel lines were burned. The upper cowling, which was clear of the postcrash fire zone, displayed soot aft of the engine baffling, and there was brown discoloration and burned and blistered paint on the interior and exterior surfaces of the cowling. The NLG tire was burned on the surface closest to the engine. An initial exterior examination of the engine revealed that the crankcase remained intact and displayed minor impact damage and significant thermal damage to the aft portion of the crankcase. The propeller flange remained attached to the rest of the crankshaft, and no visible cracks were noted in the crankshaft. All six cylinders displayed minor impact damage, and the Nos. 1 and 2 cylinders displayed minor soot discoloration at their aft sections. The exhaust system remained attached to the engine and displayed impact damage. The left exhaust muffler and heat exchanger assembly displayed several cracks in multiple locations. The left and right magnetos remained attached at their installation points and displayed minor impact damage, and no thermal damage was noted. During manual crankshaft rotation, the impulse couplings operated normally. Both magnetos created a spark to each ignition lead in the correct order. The ignition leads remained attached to the magnetos and spark plugs. Several of the ignition leads displayed impact damage, were partially severed, and exhibited no signs of thermal damage. No anomalies were noted with the ignition harness. All the spark plugs remained in their cylinders. The top spark plugs were removed, and the electrodes displayed normal operating and wear signatures when compared to a Champion Check-A-Plug chart. The bottom spark plugs were inspected using a lighted borescope. The No. 1 spark plug was oil-soaked; the other electrodes displayed normal operating and wear signatures. The engine-driven fuel pump remained attached at its installation point and displayed thermal damage. The fuel inlet fitting was found loose and was about 90° of turn from tight; the vapor return, fuel pump outlet, and mixture return fittings were all tight. The vapor return fuel line displayed thermal damage, and the hose was destroyed. The fuel pump inlet fuel line displayed thermal damage, and most of the fuel line was destroyed by fire. The fuel pump outlet and mixture return fuel lines displayed thermal damage near the fittings at the fuel pump. The heaviest areas of heat and fire damage to the fuel lines were adjacent to the left muffler and heat exchanger. The engine-driven fuel pump was removed, and the pump drive was intact and capable of rotation. After removal, 100LL aviation fuel was poured into the fuel pump inlet with the inlet fitting set at the position as found at the recovery facility. Fuel leaked from the fitting as well as multiple locations along the thermally damaged fuel line. After fuel was poured into the pump, the pump drive was rotated by hand, and it was capable of pumping the residual fuel. The throttle and metering assembly remained attached at its installation point and displayed impact damage; no thermal damage was noted. All the fuel lines were found secured. The fuel inlet screen was removed, and it was clear of any contaminants or obstructions. The fuel manifold valve remained attached at its installation point and displayed minor impact damage; no thermal damage was noted. All the fuel lines were found secured. The manifold valve was disassembled, and the internal components exhibited normal operating signatures. All fuel nozzles were installed in their respective cylinders and were undamaged. All the fuel lines supplying the fuel nozzles were found secured. All the cylinders were inspected using a lighted borescope. The piston faces, cylinder bores, and valve heads displayed normal operating and combustion signatures. The overhead components (valve, springs, and rocker arms) displayed normal operating and lubrication signatures. During manual crankshaft rotation, all the cylinders displayed compression and suction using the "thumb" method. Continuity was established between the crankshaft, camshaft, connecting rods, and associated components. The crankcase remained intact and displayed minor impact damage. The aft portion of the engine displayed thermal discoloration and soot. No signs of oil leaks were found around the crankcase. The oil screen remained installed and was secure. The screen was removed, and no metallic material was present. The two-blade, constant-speed propeller remained attached to the crankshaft and displayed impact damage. Both propeller blades remained within the propeller hub. One of the propeller blades displayed minor twisting deformation at the propeller blade tip, and a portion of the tip was sheared from the rest of the blade. The other propeller blade displayed minor damage, and no bending or twisting deformation was noted. Metallurgical examination of the muffler and heat exchanger revealed cracks in multiple locations in the left muffler and heat exchanger, including (1) at the forward left side of the assembly where the muffler end face was displaced forward at the outer circumference, exposing a crack opening from the interior to the exterior of the muffler and heat exchanger,(2) in the mufflers forward and aft end faces, adjacent to welds for internal baffles attached to the end face next to the exhaust stack attachment, and (3) through the aft heat exchanger end flange. Fracture features were generally covered with oxides and exhaust deposits across the thickness of the fracture. Near the ends of the muffler wall crack, light gray fracture features were observed, consistent with a relatively recent overstress fracture. The through-thickness oxidized portion of the crack in the muffler wall was 3.35 inches long circumferentially, and the wall crack was co-located with a 4.5-inch long oxidized crack through the heat exchanger end flange. In a mounted and polished metallurgical section through the muffler wall crack location, the muffler wall aft of the fracture showed significant thickness variations associated with oxidation, and in one area aft of the crack, the wall was corroded nearly through the thickness in the plane of polish. The muffler wall showed branching intergranular cracks through the thickness at the fracture surface and through much of the thickness in areas forward of the fracture. Branching intergranular cracks were also observed on, and adjacent to, the fracture through the heat exchanger forward end flange. The muffler had four cracks through the end faces, and each crack was approximately 0.8 inch to 0.9 inch long. Three of the cracks were through the aft end face, and one crack was through the forward end face. Some cracks were displaced open, and the fracture features on the opened cracks had fracture features that appeared to be covered with oxidation and exhaust deposits. Two cracks were present at the aft end of the heat exchanger. A crack through the aft end flange at the upper side of the assembly was 4.25 inches long and was not associated with deformation to the aft end flange. A second crack in a deformed portion of the aft end flange had oxidized features through the thickness along a length of 2.25 inches. For additional information regarding the examination of the muffler and heat exchanger, see the NTSB Materials Laboratory Factual Report, located in the public docket for this investigation. 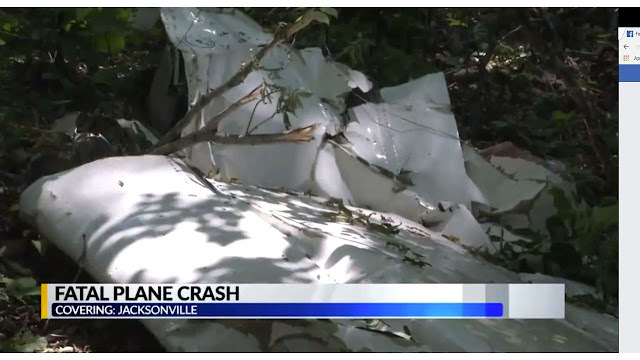 On May 12, 2018, about 2005 central daylight time, a Beech 35-A33, N486T, collided with trees and terrain during a forced landing at in Jacksonville, Alabama. The airplane was destroyed. The airline transport pilot was seriously injured, and one passenger, his daughter, was fatally injured. The airplane was registered to the pilot and was operated under the provisions of 14 Code of Federal Regulations Part 91 as a personal flight. Night, visual meteorological conditions prevailed, and no flight plan was filed for the flight. The flight originated at Hartselle-Morgan County Regional Airport (5M0), Hartselle, Alabama about 1924 and was destined for Falcon Field (FFC), Peachtree City, Georgia. The pilot reported the following. He was familiar with the route from 5M0 to FFC and had flown it numerous times before. Visual meteorological conditions prevailed, and he planned the route at 5,500 ft mean sea level. All ground operations and the departure from 5M0 were uneventful. His first indication of a problem was the smell of smoke. He was not completely sure it was from the airplane at first; he thought it could have been from outside. He continued to smell the smoke and "started turning stuff off." He kept progressing and analyzing the situation. The engine suddenly "sputtered and quit." He had just crossed over the boundary of the Talladega National Forest, so he reversed his course because it "appeared darker there." He turned the fuel boost pump on and established the airplane's best glide airspeed. He believed that the airplane may have recovered some power, and the engine was wind milling. He maneuvered the airplane toward a pasture near Jacksonville. It was night, VFR but he could still see the ground. After setting up the glide to a general area, he felt a "warm heat." The passenger, who was his daughter, climbed into the rear cabin. He pulled out the fire extinguisher and shot discharged it toward the firewall where there were now flames. He had "some luck" with the extinguisher. The smoke continued and got heavy; he had to open the side window to let some air in, so he could clear the smoke and see. The flames persisted. While crossing a ridge, the airplane hit trees and spun around and crashed. He was still in the airplane, but his daughter was not. The wreckage was on fire. He egressed the cockpit, and ran clear of the wreckage. He found his daughter and she was injured. He could hear a siren "right away." First responders arrived shortly thereafter. The fire eventually died down subsided and burned itself out. There was no explosion. The airplane crashed on the side of a hill in a forested area, about 2 miles southeast of the Jacksonville town center. The wreckage path was oriented on a westerly heading and was about 150 feet in length. All components of the airplane were accounted for at the accident site. Flight control continuity was confirmed from all flight control surfaces to the cockpit controls. The main wreckage consisted of the fuselage, empennage, and right wing. A majority of the main wreckage was consumed in the postcrash fire. The engine, propeller, nose landing gear, and engine cowling separated during the impact sequence and were found in an area free of post impact fire signatures. The engine displayed black soot and heat damage on the aft accessory section of the engine. Several fuel lines were burned. The upper cowling, which was clear of the postcrash fire zone, displayed soot aft of the engine baffling and there was brown discoloration and burned paint on the exterior surfaces of the cowling. The nose gear tire was burned on the surface closest to the engine. The pilot held an airline transport pilot certificate with ratings for airplane multi-engine and single engine land privileges. He also held flight and ground instructor certificates. He reported 3,240 hours total flight time on his latest Federal Aviation Administration first class medical certificate, dated July 5, 2017. He was an airframe and powerplant mechanic with an inspection authorization authority and performed the maintenance on the airplane, including the annual inspections. The low-wing, single-engine, four-seat airplane incorporated a retractable, tricycle landing gear. The airplane was equipped with a Continental IO-470-K, 225-horsepower reciprocating engine . The engine was fitted with a Hartzell constant -speed propeller. The airplane was built manufactured in 1961. The pilot reported that the maintenance records were at his residence and would provide them to the investigation team. JACKSONVILLE, Ala. (WIAT)-Authorities in Jacksonville are investigating a fatal plane accident that happened Saturday night in Calhoun County. Police have now identified the victim who was killed as 27 year old Stefanie Fasselin of Peachtree City Georgia. Scott Landers and his girlfriend are shocked and saddened to hear that a woman was killed and her father was hurt in the crash. Landers lives on Scotty Lane not far form where the plane went down. He heard the explosion after the aircraft went down. "It sort of sounded like a moped sputtering out of control and then a loud hit. And a few minutes later it seemed like a small explosion" Landers said. 27 year old Stefanie Fasselin died, her father who was the pilot survived the crash and was taken to a hospital in Huntsville for treatment. The two were the only ones on board when the aircraft went down. "I couldn't imagine losing a child, this man. I really don't have words, losing a daughter has to be terrible. My heart goes out that family" Landers said. Its unknown where the plane departed from or where the aircraft was headed. 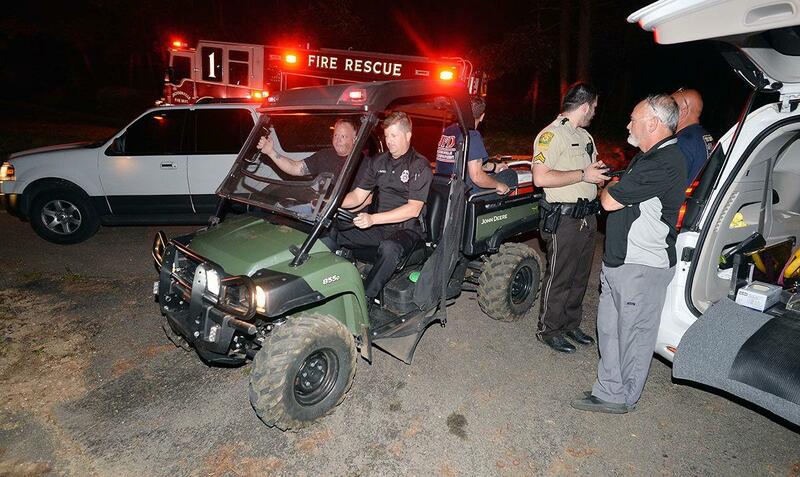 Shortly after the crash, Scott Landers jumped on his four wheeler and rode to the crash sight with firefighters. "It was kind of a nervous scary feeling, my hats off to the firemen and first responders. I went in right behind them. Those guys did a heck of a job, but that was sad to see happen". Authorities say the plane was having engine problems right before it crashed. The aircraft involved in the incident was a single engine Beech BE-35. The Federal Aviation Administration will investigate and the National Transportation Safety Board will determine the probable cause of the crash. Our beautiful wife, daughter, sister, and friend Stefanie Amanda Smith Fasselin “went home” to her Father in Heaven unexpectedly on May 12, 2018. She was born July 15, 1990 in Atlanta, Georgia. She was the first-born daughter of Beth and Kevin Smith. She was a vibrant ray of happiness and joy. The room seemed to light up whenever she entered. Many were drawn to her joyful personality. She made life-long friends whose hearts were tied together as sisters. She was an avid reader, lifelong learner, and a faithful member of The Church of Jesus Christ of Latter-day Saints. She played soccer as a youth and earned the Gold Award in the Girl Scouts of America. She attended Starrs Mill High School and graduated in 2008. She went to Brigham Young University and earned her Bachelor’s Degree in Public Heath in 2013. She was working on her Masters of Business Administration (MBA) from the University of Georgia. She started with Delta Airlines in 2009 as a gate agent in Atlanta, but worked her way up through the Company. She was promoted to Strategic Communications Manager at Atlanta Airport World Port. She loved learning about the business world. She was a hard worker and an independent thinker. Her initials were S.A.S. so she always said she was a little bit “sassy” and had a fierce belief that when women cheer each other on, amazing things can happen. She married her best friend and true love, Cody Fasselin on April 27, 2012 in the Salt Lake City, Utah LDS temple. They enjoyed watching sporting events and eating unique cuisine. They loved to travel and wanted to visit all seven continents. Their love extended to their two precious Corgis, Indy and Penny. Cody loved his “Steffie” with all of his heart and looks forward to their eternal reunion. Stefanie is survived by her loving husband; mother, Elizabeth (Beth) Hulfeld and father, Kevin Smith; sister, Rebecca; grandmas, LaWanna (Granny Wannie) Hulfeld and Mildred Smith, uncles, aunts, cousins, many in-laws, and nieces and nephews who thought of Steffie as their favorite “auntie.” She was preceded in death by two grandpas, George Hulfeld and George Smith, and by her Uncle Joe Hulfeld. A Celebration of A Beautiful Life will be held Saturday, May 19, 2018 at The L.D.S. Ward Chapel, 2021 Redwine Road Fayetteville, Georgia, at 2:00pm with viewing held one hour prior to the service. An additional viewing will by held Friday, May 18, 2018 from 6:00-8:00pm at Mowell Funeral Home, 200 Robinson Rd, Peachtree City, Georgia. Interment will be in Westminster Memorial Gardens, Peachtree City, Georgia. In lieu of flowers, donations may be made to Room to Read.org in support of Girls’ Education Program. www.roomtoread.org. A plane crash in Jacksonville Saturday night claimed one life. First responders and officials on Scotty Lane. The plane crash was in rugged terrain about a mile from Scotty Lane. Jacksonville Fire Chief Lee Batey and Calhoun County Coroner Pat Brown leave on a all-terrain vehicle to the crashed plane. A small airplane crashed in Jacksonville, Ala., Saturday night killing one person on board, according to Calhoun County authorities. Media reports say a woman was killed, but a man on board survived the crash. His condition was not immediately known. Calhoun County Coroner Pat Brown identified the victim as 27-year-old Stefanie Fasselin of Peachtree City, Ga. A LinkedIn post under that name identifies her as an employee of Delta Air Lines. The pilot was her father, according to Brown. His name and condition have not yet been released. Sheriff Matthew Wade said he was notified at 8:30 p.m. that a small, private, single-engine plane had developed engine problems and crashed. Kathleen Bergen, a spokesperson for the Federal Aviation Administration, identified the plane as a Beech BE-35. The sheriff said the plane hit a tree when it came down in the Whites Gap area near Scotty Lane. The FAA will investigate the crash and the National Transportation Safety Board will determine the probable cause of the accident. Jacksonville, Ala. — First responders were called to a plane crash in Calhoun County. Calhoun County Sheriff Matthew Wade says a Beech 35 Bonanza crashed near Scotty Lane, off White's Gap Road in Jacksonville Saturday evening. Sheriff Wade says two people were on-board, and he was told one person died at the scene. 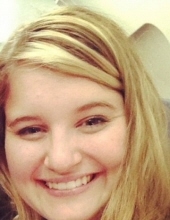 Calhoun County Coroner Pat Brown identified the victim as Stefanie Fasselin, 27, of Peachtree City, Georgia. The other person was taken by helicopter to a hospital. There is no word on that person's condition. The Federal Aviation Administration says the Beech 35 Bonanza crashed about 8:00 p.m. The FAA says local officials reported the aircraft collided with a tree and caught fire. Sheriff Wade reported the plane was having engine trouble, and was attempting to find a safe place to land. It's unknown what the plane's departure location was, or where it was headed. JACKSONVILLE, AL (WBRC) - A woman died and a man was airlifted after a plane crashed in Jacksonville on Saturday. The plane was found in a wooded area off Whites Gap Road and Scott Lane. We're told the Beechcraft 35-A33 Debonair broke into pieces during the wreck. JACKSONVILLE — A Saturday night plane crash in Jacksonville claimed one life, according to Calhoun County Coroner Pat Brown. Brown said two people were aboard the Beech 35 Bonanza, which crashed in rugged terrain off Scotty Lane near Whites Gap Road. Calhoun County Sheriff Matthew Wade said that the two passengers — one man and one woman — were family members and the plane had engine trouble when it crashed. “Crash landed here in this area striking some trees causing severe damage to the aircraft,” Wade said. A local resident, who declined to be identified, said he heard the plane before it crashed. “You could tell something was wrong with it — then I heard it hit the woods,” he said. Brown said responders found the plane on fire. The male survivor, who was the pilot, was airlifted to Huntsville, according to Brown. White Plains Fire Department, Jacksonville Fire Department, Calhoun County Sheriff's Office and Jacksonville police responded to the crash. Authorities declined to identify the victims, pending notification of next-of-kin. Sad, praying for the victim. If it was engine trouble, the answer as to whether a twin is safer than a single seems obvious. "the answer as to whether a twin is safer than a single seems obvious." I am disappointed that you chose to exploit this family's tragedy to promote an opinion that is not supported by the facts, especially as it seems self-congratulatory. Small multi-engine aircraft flown by non-occupational pilots do not have an "obvious" better safety record. Too often, owner/renter pilots do not successfully manage engine failure emergencies, whether by aptitude, training, or proficiency issues. The real proof is revealed in insurance rates; compare quotes for Barons versus Bonanzas and adjust for hull value, if the Baron was truly safer overall the insurance rate would be lower. It's impossible to summarize the pilots actions or inactions without actually being in the plane at the time of the accident. Sometimes engine failures are sudden and without warning, very little reaction time and it was dusk so that could have been a factor as well. The best policy in a single engine plane is have all the altitude you can afford and always have a emergency landing area in sight. The best policy to avoid engine trouble is taking optimum care for your engine. We are having way too many fatal small plane crashes in this country. It's almost one crash per day. Sometimes two crashes a day. Someone needs to do something about this. There are no safer aspects of flying a piston twin. Let's be honest, most piston powered twins aren't able to maintain level flight when an engine quits, much less climb. And this one goes for turboprop twins also, if the engine is no feathered promptly. Don't fool yourselves. As someone said it "If a engine quits in a light twin, you have the other engine to get you to the scene of the accident". Senator Chuck Schumer wants the Inspector General to investigate general aviation accidents and incidents. Everytime government gets involved they make bad things worse. My twin flys just fine on one engine, and no, it doesn't take you to the scene of accident. This is a common myth perpetrated by those who are ignorant. Otherwise, there would only be single engine aircraft. This accident happened at night which made it difficult to decide where to land. The safest aircraft is the one that isn't flown. Nevertheless, condolences to the family for their loss. I'm sure the father did all that he could do under the circumstances. There are so many Auto accidents EVERY day, it would take up an entire evening news broadcast to cover them all. Honestly I feel safer in my plane. Its better maintained and inspected regularly. How many cars and trucks on the road can say that? When is the last time you pulled your car apart for annual? Every day I see cars and trucks that have no business being on the road. They are a hazard. Right. 110 people killed every day in car wrecks- thousands injured. Problem is too much media and government resources sent to cover plane crashes. Not necessary. We don't need 50 cops to investigate a small plane crash. Florida coward cop gets $10,000 month pension! At least father here survived, which means he didn't stall it. Sad about his daughter not making it. When you have a fire you are supposed to turn off the fuel feed and fuel pump(s). Its all hindsight now. It had to be an extremely stressful situation.